SIDNEY — Todaym, Friday, Sept. 7, is the deadline for area cooks to submit recipes for inclusion the 2018 Sidney Daily News Harvest Holiday Cookbook. Recipes are welcome in the following six categories: Main dishes, desserts, scrumptious sides, pastabilities, carry-in faves and holiday traditions. Unless otherwise noted on the recipes (e.g., “cookbook only”), all submissions will be entered in the newspaper’s annual cooking contest. 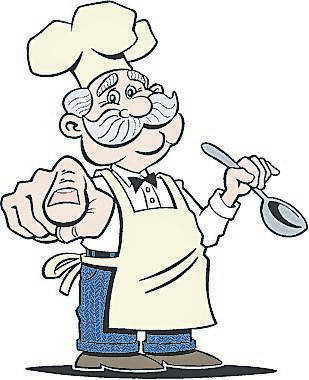 Four cooks in each category will be invited to vie for cash prizes during a cook-off, Sept. 29. All recipes must be typed or legibly hand-printed. They must include the names of the dishes, the categories they’re submitted in, complete lists of ingredients and instructions and the names, addresses, phone numbers and email addresses of the submitters. Emailed recipes are preferred and can be sent to Recipes@sidneydailynews.com. They must be received by 11:59 p.m. tonight. Recipes in hard copy can be delivered to the Sidney Daily News, 1451 N. Vandemark Road, Sidney, OH 45365 by 5 p.m.